What a treat! This Caramel Apple Pie is pure heaven on a plate. 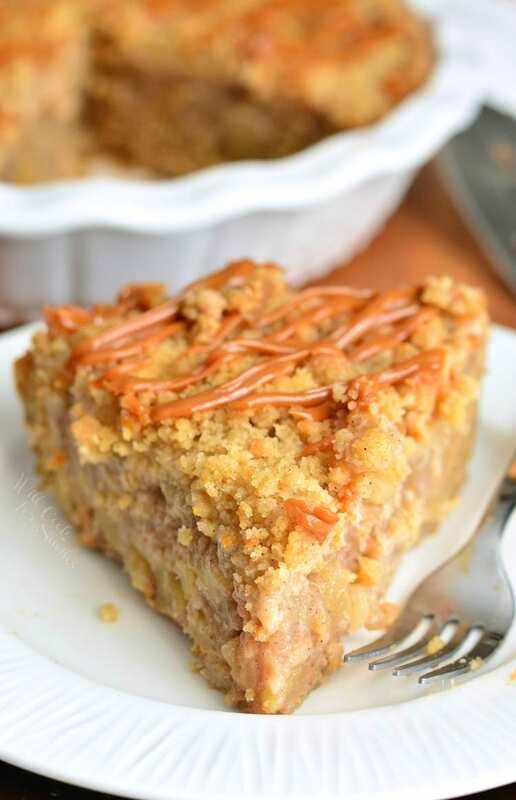 The pie has a soft, sugar cookie crust, apple pie filling, sweet crumble, and layers of dulce de leche. One bite is not enough. I did it! I’ve finally found my favorite pie! The best desserts make your knees buckle and eyes roll to the back of your head and this Caramel Apple Pie with Cookie Crust definitely makes me weak in the knees. 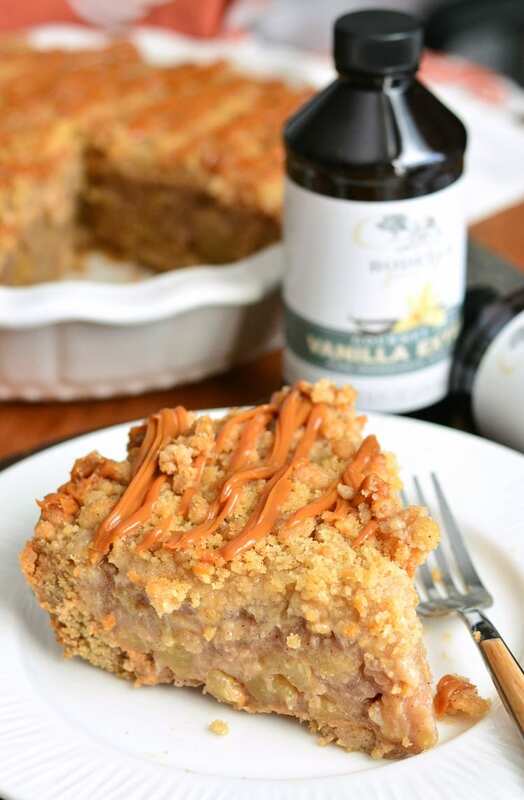 This pie has so many wonderful layers starting with a soft and chewy cookie crust, layers of dulce de leche, homemade apple pie filling, and crunchy streusel topping. No more looking around for the perfect holiday pie because it’s right here! My favorite holiday pie has always been apple pie but it wasn’t until I was working at the Cracker Barrel (many, many years ago when I was a teenager) when I discovered that apple pie is so much better with a streusel topping than with a pie crust lattice. My love for apple pies actually became a holiday tradition when I was working there. Every Thanksgiving season, back of the kitchen would be literally packed with racks of pies. Every time I walked passed it to the break room, sweet aroma of pies would overwhelm all the senses. It was quite impossible to resist grabbing one of those pies and sneaking off somewhere with a spoon and a smile. In a fear of loosing my job over a stolen pie, I just bought one every week and took it home. Apple Streusel Pie was a holiday treat for me every week of November. A few years later and working in a different restaurant, I had to keep up my fall apple pie addiction. 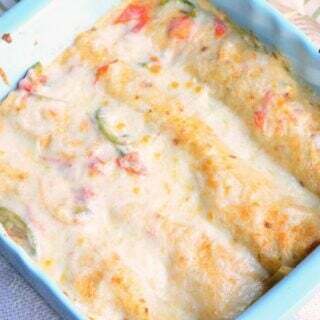 I started experimenting with my own recipes and I just now figured out the perfect one. Cookies are one of my favorite treats, I will choose a chewy cookie over cupcakes and cakes every time. I’m surprised that it took me this long to combine it with my favorite pie. Adding another childhood favorite, dulce de leche, is what bring it all together in a sweet, creamy perfection. The best baked treats always come out from a great combination of flavors, great ingredients, and lots of love. If you love baking, you have the love ingredient fully covered. Now, to help you with the great ingredients part, I have a little something to give away to TWO of my readers. In the spirit of holiday baking season, Rodelle and I are yet again giving away a basket of goodies. 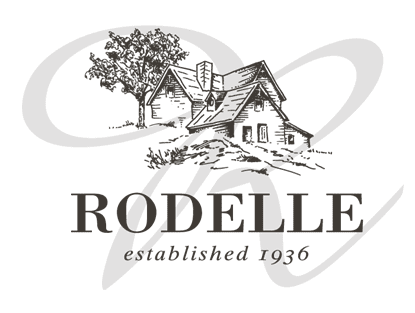 I’ve been a loyal (and obsessed) user of Rodelle vanilla for many years and I can’t imagine buying another brand. As a matter of fact, I ran out of my Rodelle vanilla extract one time and drove 40 minutes to a Super Target, passed 4 regular Target stores, just to get more. It is definitely worth it! 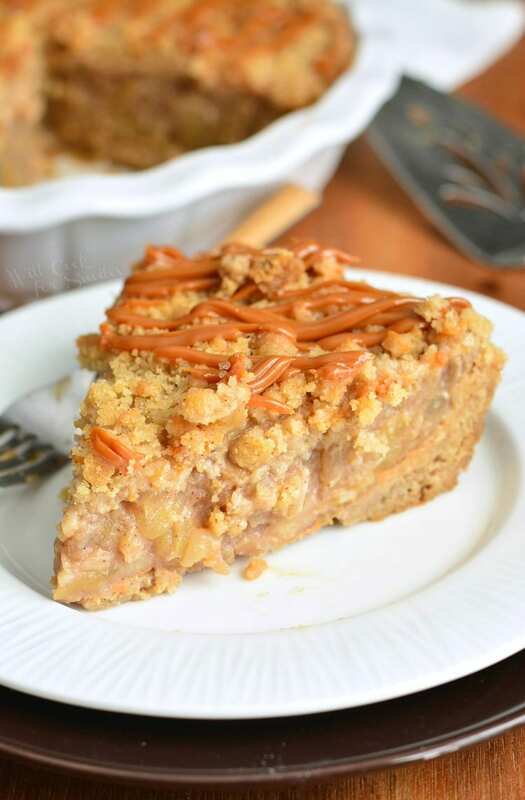 To ENTER into the giveaway, simply share this Caramel Apple Pie on your Pinterest or Facebook. Then, visit Rodelle Kitchen and leave me a comment, letting me know what you will bake first with your Rodelle goodies. Don’t forget to leave your email address too! THE GIVEAWAY HAS ENDED. THANK YOU ALL FOR ENTERING. The winning numbers are 3 and 16! 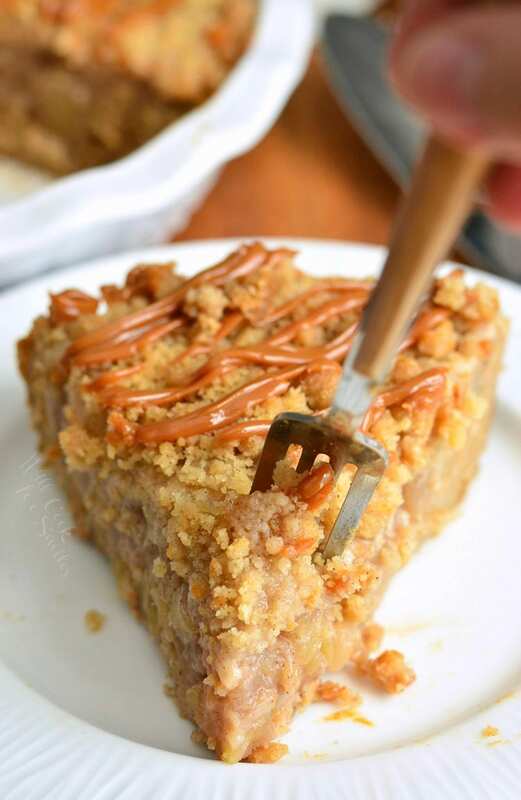 The pie has a soft, sugar cookie crust, apple pie filling, sweet crumble, and layers of dulce de leche. Apple pie filling can be done ahead of time. You can make it a couple of days before or a few hours before you need it. Sprinkle flour over apples and stir well. Preheat the oven to 350 degrees. Grease a pie dish with butter or non-stick baking spray. Beat butter and sugars for a couple of minutes, until light and fluffy. Beat in egg until incorporated. Add vanilla extract, flour, apple pie spice, baking soda, and salt. Beat on low until mixed and then finish mixing with a rubber spatula until smooth. Spread cookie dough all over the bottom and up the sides of the pie dish by patting it gently. Pre-bake the cookie crust for 10 minutes. If some of the cookie dough settled down on the sides of the pie dish, you can gently push it back up with your hands (be careful, it will be hot). 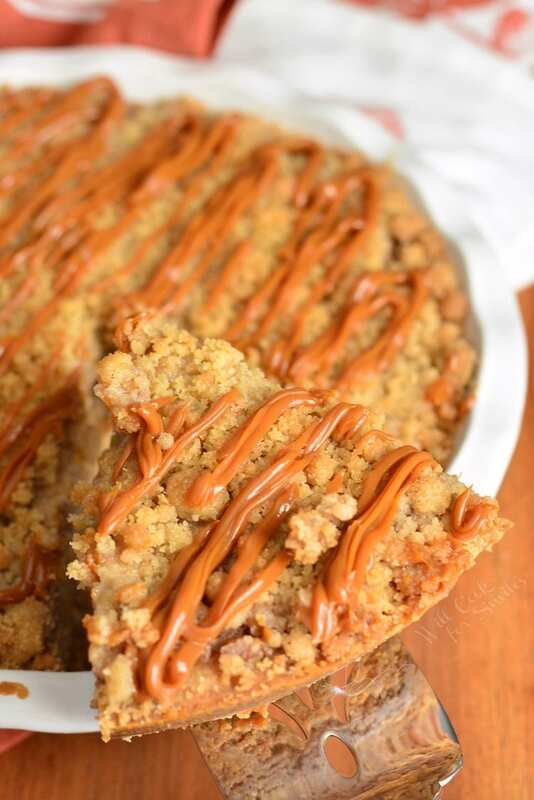 Drizzle about 3 oz of dulce the leche over the cookie crust. Spread apple pie filling in the cookie crust. Press it down gently. In a medium bowl, combine brown sugar, white granulated sugar, apple pie spice, and flour. Mix well until all ingredients are incorporated evenly. Spread streusel topping over the apple pie filling. Take the pie out of the oven and drizzle remaining dulce de leche over the top. Let the pie rest for about 30 minutes before serving. I love using vanilla bean paste! I would use it int my sugar cookies. 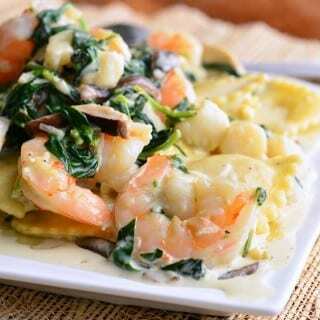 Yum, everything on the Rodelle site looks so good! Not sure what I would bake first, maybe a very vanilla cheesecake. I’d make the baked brie with apple-cranberry compote! My sweetheart comes from a family of cheesemakers, so we eat a LOT of cheese, and this recipe sounds just heavenly. I can imagine us enjoying it together on a snowy winter evening. Congratulations, Tracy! You are a winner. I will email you at the email you entered here. I’ll bake the very vanilla cheesecake first ! I will be making my apple crumb cake for Thanksgiving. It’s gluten free and full of vanilla and cinnamon! Shared on Facebook. 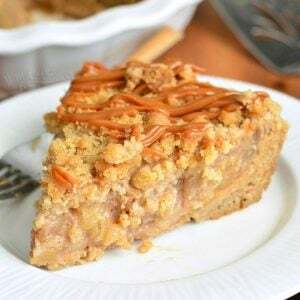 I think I would try the snickerdoodle recipe and use it forcrust for my pumpkin cheesecake! That sounds so good! 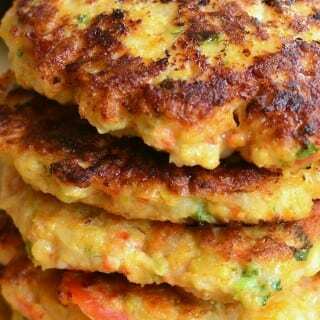 I shared this yummy recipe on Facebook! 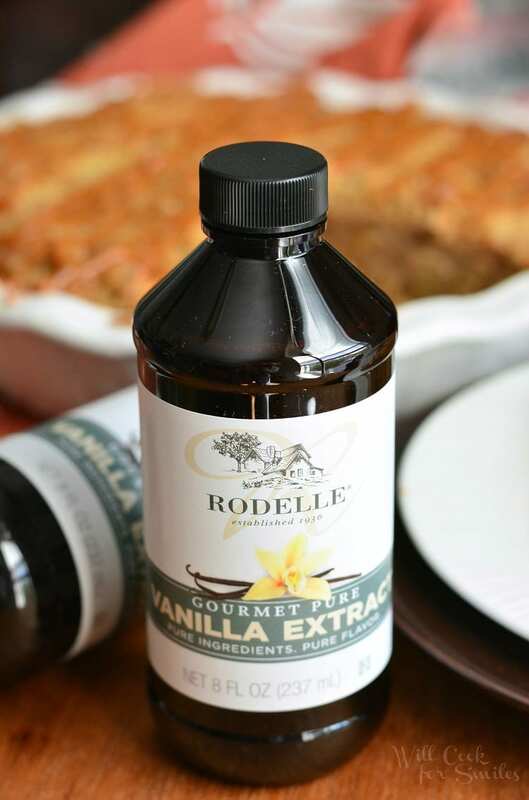 I would first make the Vanilla Bean Butter from the Rodelle website, what a great treat to go alongside our holiday bread basket! I would make oatmeal scotchies. They are my favorite cookie this time of year, primarily so I can eat mouthfuls of butterscotch chips. I use Rodelle in my famous sugar cookies, but the first thing I’ll make if I win the Rodelle products will be this pie (unless I make it this weekend, which is probably likely). I love experimenting with apple pie recipes. I’d make Cocoa Crème Brulée with vanilla beans & vanilla extract. Wow that’s a great pie! If I won I’d make cookies and maybe a holiday ice cream. Oh my goodness! I think I would make this amazing looking pie first!! I pinned the recipe here; https://www.pinterest.com/pin/157063105739087967/ I love to put a drop of Rodelle vanilla in my morning coffee. Congratulations, Nancy! You are a winner 🙂 I will email you at the address you left here. oh my pie! 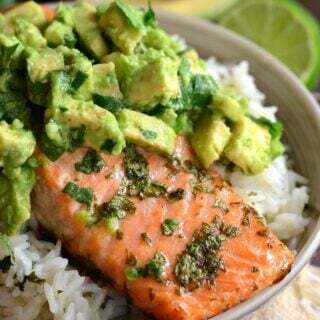 gracious does this look scrumptious! 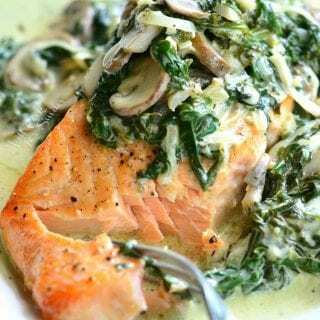 another recipe I will pin and make that will make my family smile too. I am a huge fan of rodelle vanilla. Any recipe will be great too. a couple I found. The vanilla bean persimmon pie for my daddies love of persimmons..I’ve been looking for a recipe. the German chocolate Bundt cake for hubby..his favorite. kiddos the truffles for holiday gifting too. I almost missed the party as I’ve been so so busy. haha. I would make my new favorite – Sweet Potato Creme Brulee Casserole. Tried the recipe for the first time on Thanksgiving and fell in love. 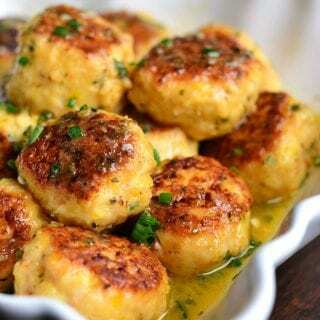 I shared your yummy recipe on Pinterest. I would like to try the Homemade Chocolate S’mores and the Oreo Cookie Truffles.